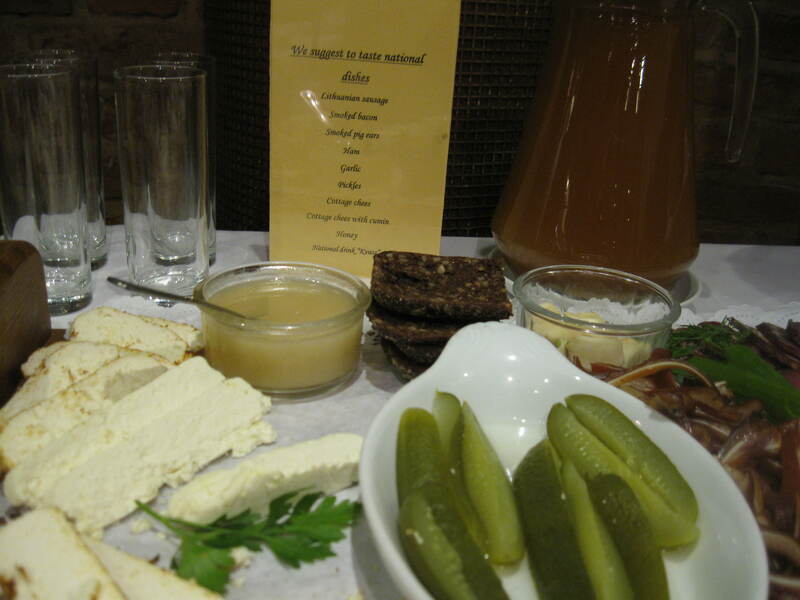 The Kaunas Hotel has an excellent breakfast buffet with many traditional foods: local cottage cheese served in slices, hot kasha, blintzes, smoked salmon, herrings, garlic, 3 types of black (rye) breads, and the local soft drink, kvass (made from yeast & rye). Also a plate of decidedly non-kosher pigs’ ears. 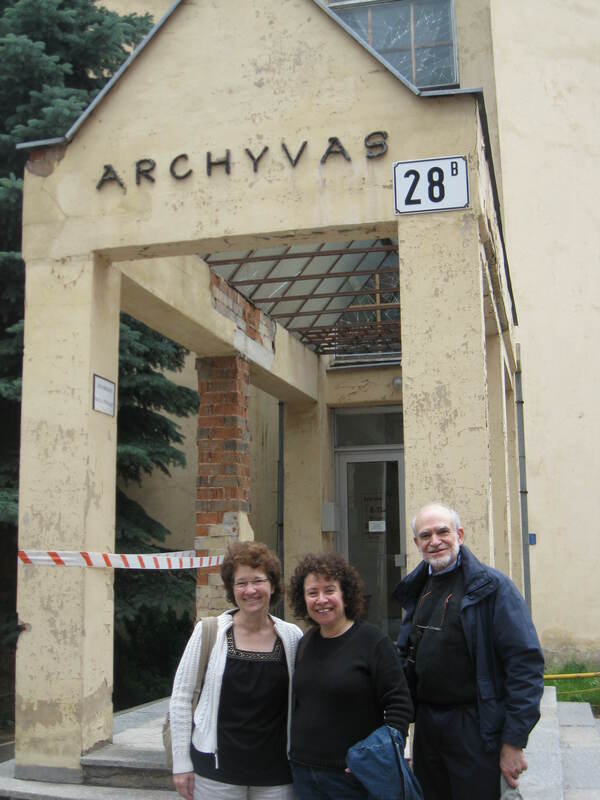 We visit the Kaunas Archives, located in a building that was once a synagogue. They have a historical department and modern records, but no vital records are kept at this location. 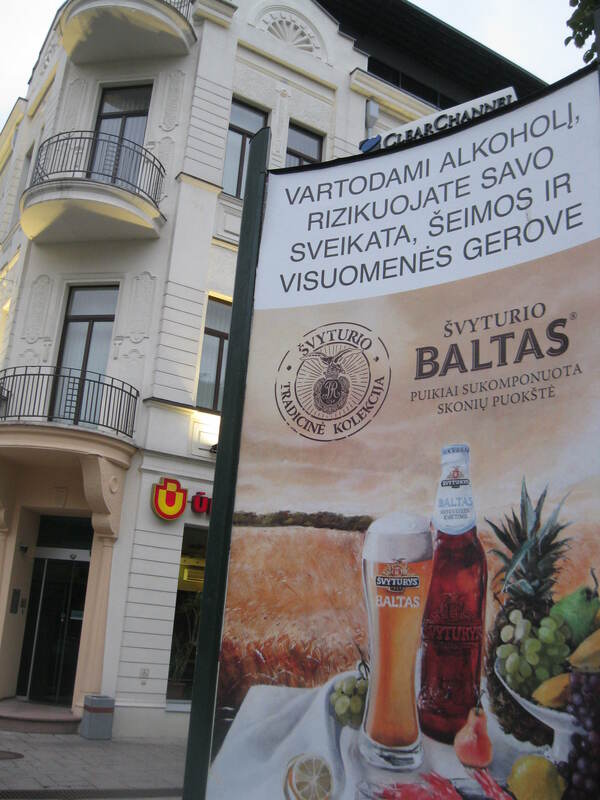 All vital records are in Vilnius. 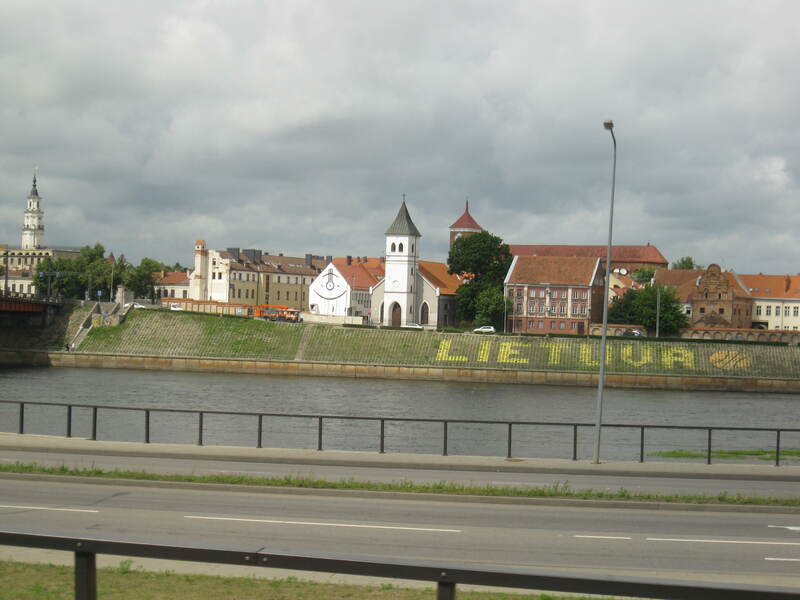 Records from the 19th century are in Russian; later records are in Lithuanian. 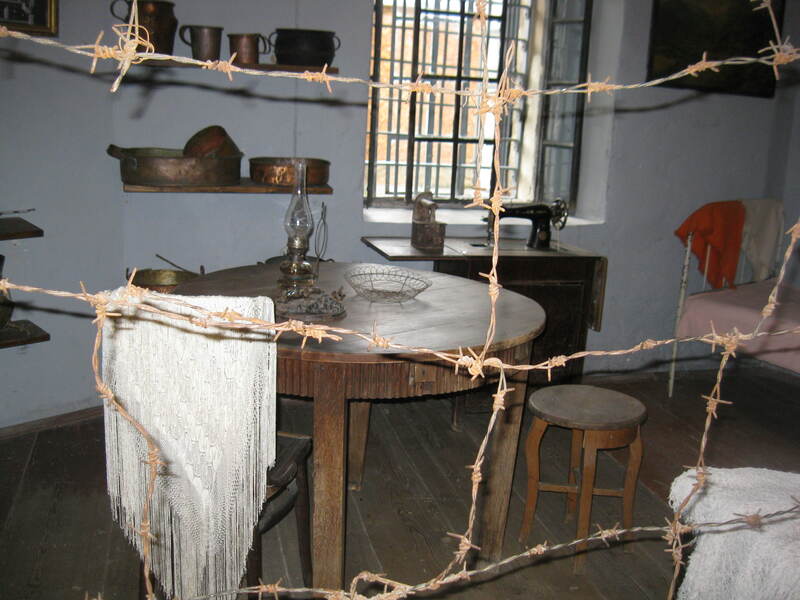 Jewish records were kept for the purposes of taxation and the army. The first overall census was taken in 1895–7. 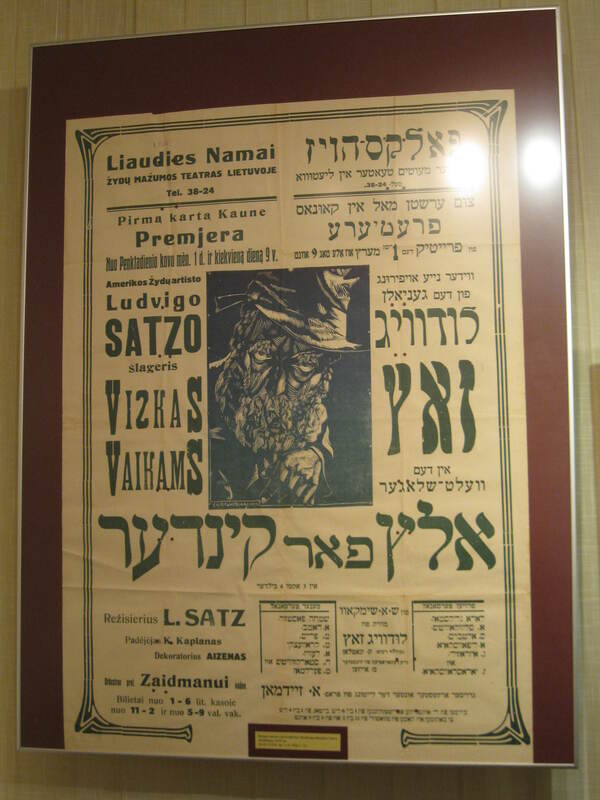 Many records from Kaunas (and Vilnius) have been uploaded to the “All Lithuanian Database” on www.jewishgen.org. Later, local municipalities created “Family Lists” which listed each family by place of administration (town). This became a permanent registration. However, in the 19th century people often moved, confusing the record keeping. In 1894 a “residence permit” became required for travelling on business within the Pale of Settlement. Russia had no internal passports until WWI, when Jews were made to move to Russian and Ukrainian gubernias. 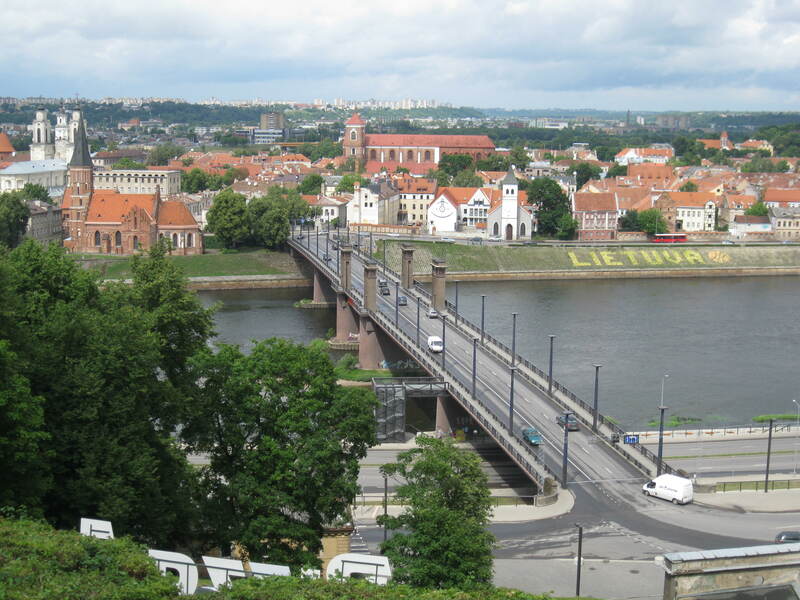 After WWI, the newly independent nation of Lithuania had passports for travel outside the country. The archivist confirmed that Revision Lists are not the most accurate because many people would hide from being listed. It was common for families to take steps to remove them or their children from being recorded, since there were taxation and military draft repercussions. 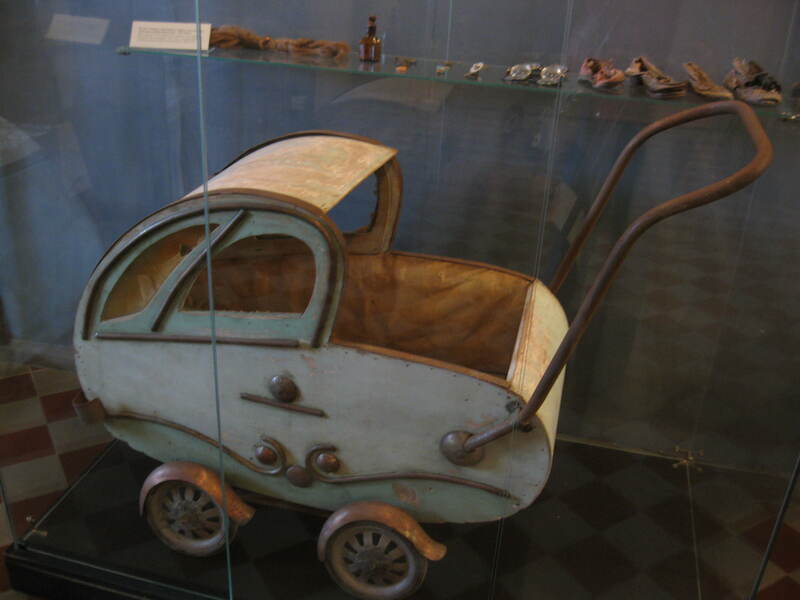 People would change a family member’s age or even the family surname. Jews had to serve in the Russian army from 1827 or pay additional taxes. 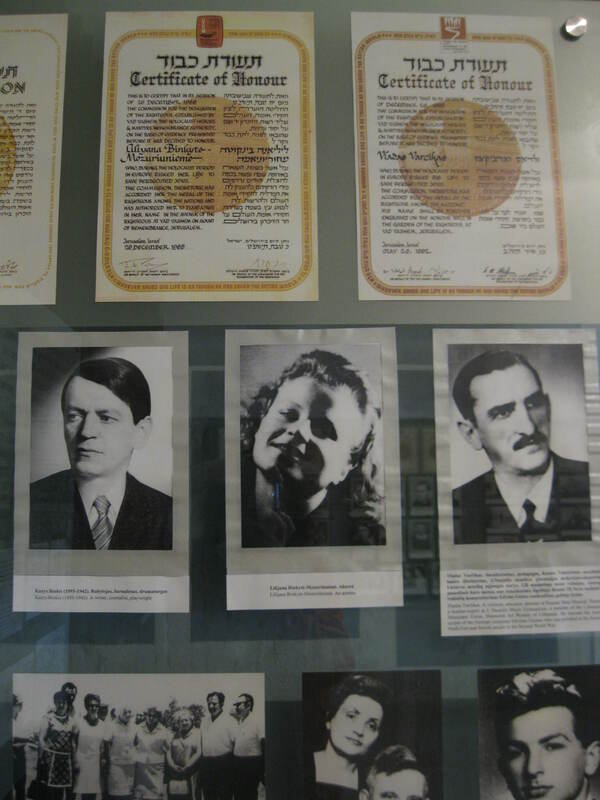 Jews were conscripted from age 12 (non-Jews were conscripted from age 18). The Jewish community was required to produce a list of draftees, and the wealthy could sometimes buy out the son of poor family to keep their own son out. It became compulsory for all men to register at age 21 in 1874. Each would register but the community would draw lots to determine who had to serve. The military draft could obligate a draftee for a decade or longer. 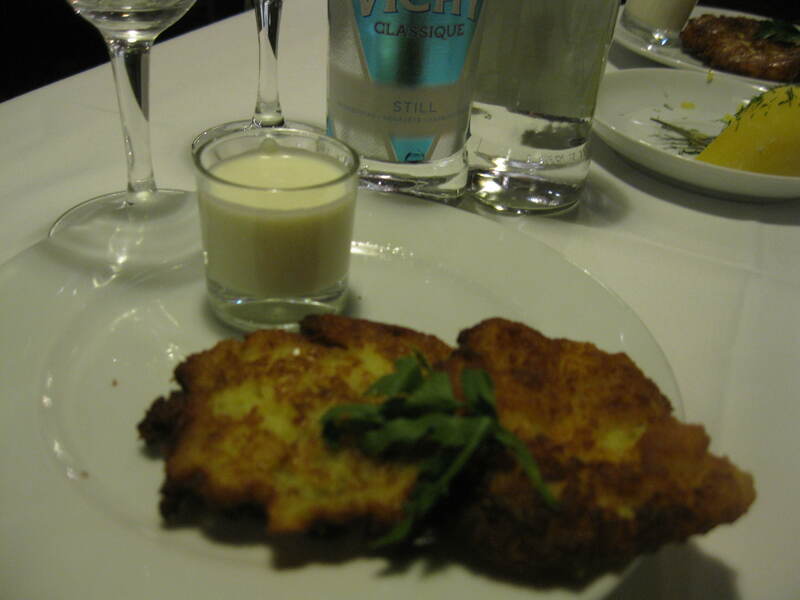 I walk to the Akroplis, a modern 3-story shopping mall, and return for a great “local” lunch at the hotel: salad of beets and apples, borsht soup, dill potatoes and latkes (potato pancakes) with sour cream. 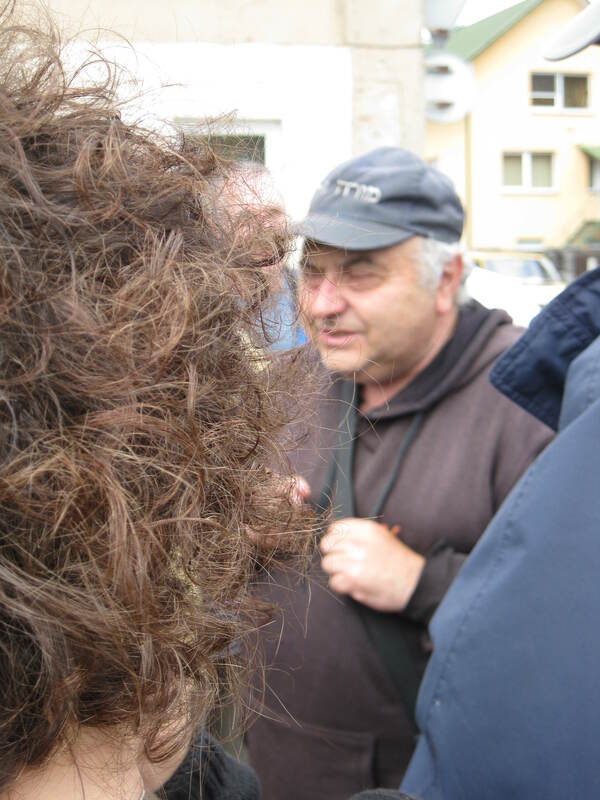 Afternoon with our entertaining guide, Chaim Bargman, who speaks Yiddish and Hebrew, in addition to Lithuanian and English. We cross the Nieman River bridge for a view of the city. 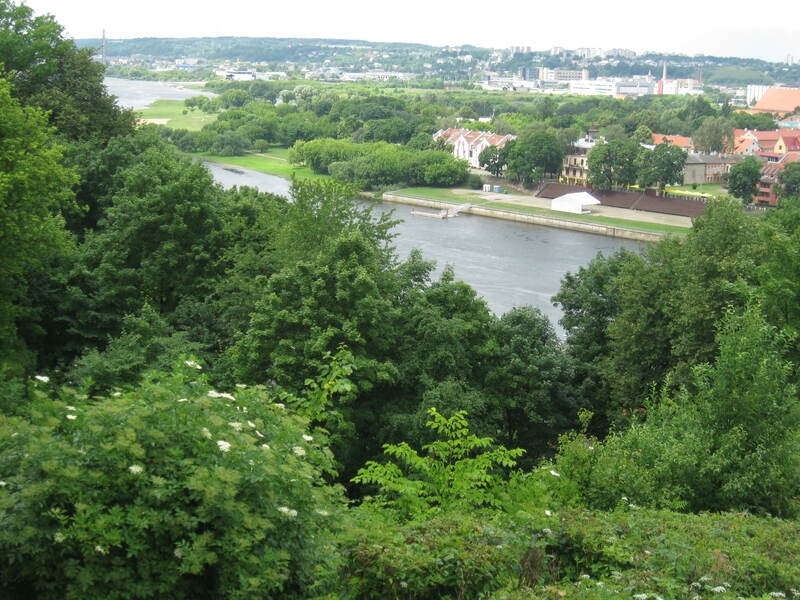 There was a very rich cultural Jewish life in Kaunas (Kovne) and the Jewish Quarter was by the river. 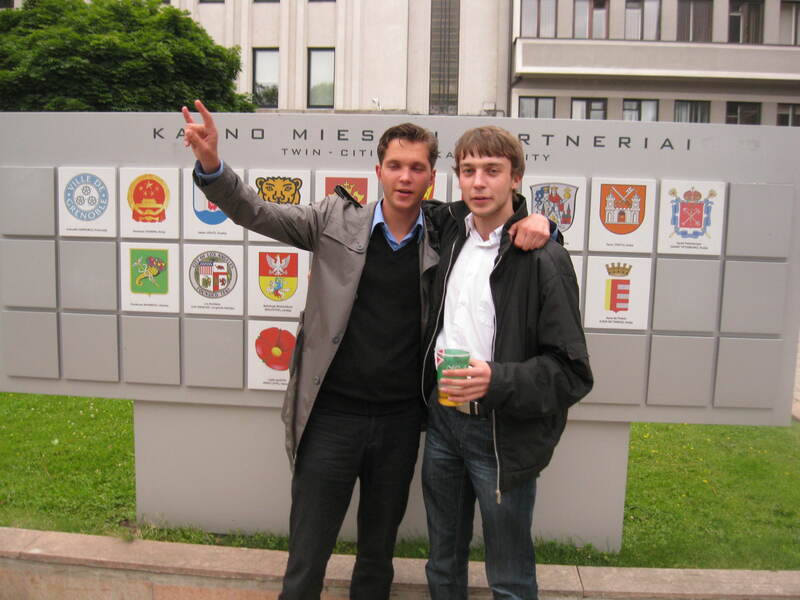 Kaunas and Los Angeles are now “sister cities”. 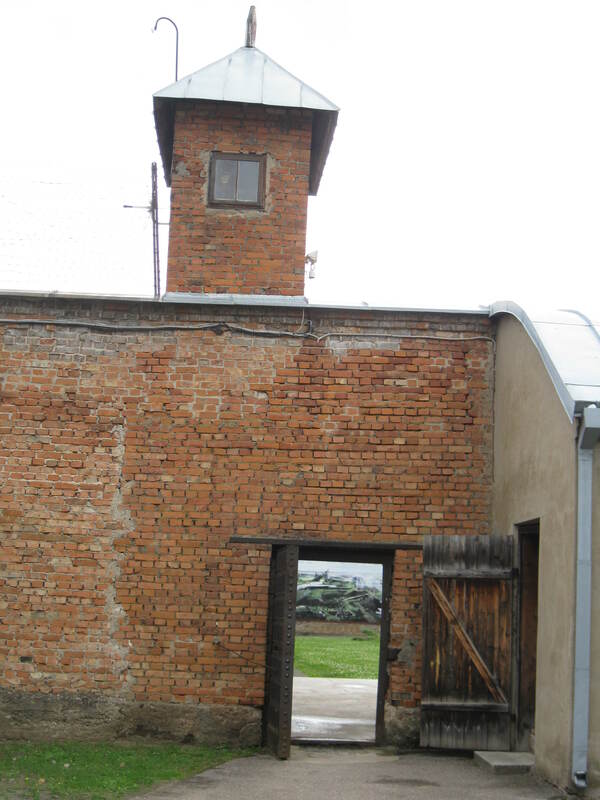 We visit the site of the Slobodka Ghetto and Yeshiva; the yeshiva functions today as “Yeshiva of Hebron”. 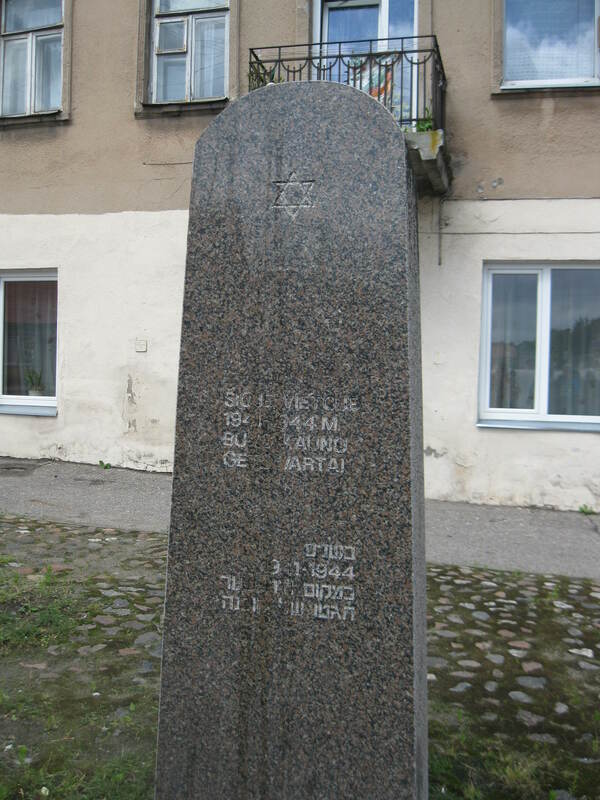 A memorial marker at the ghetto has recently been vandalized. 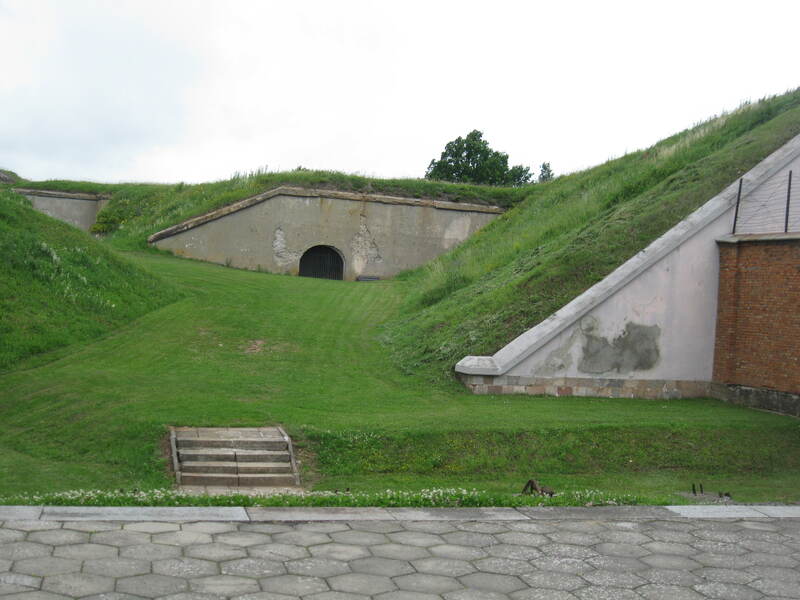 The Ninth Fort is the site of mass killings during WWII. 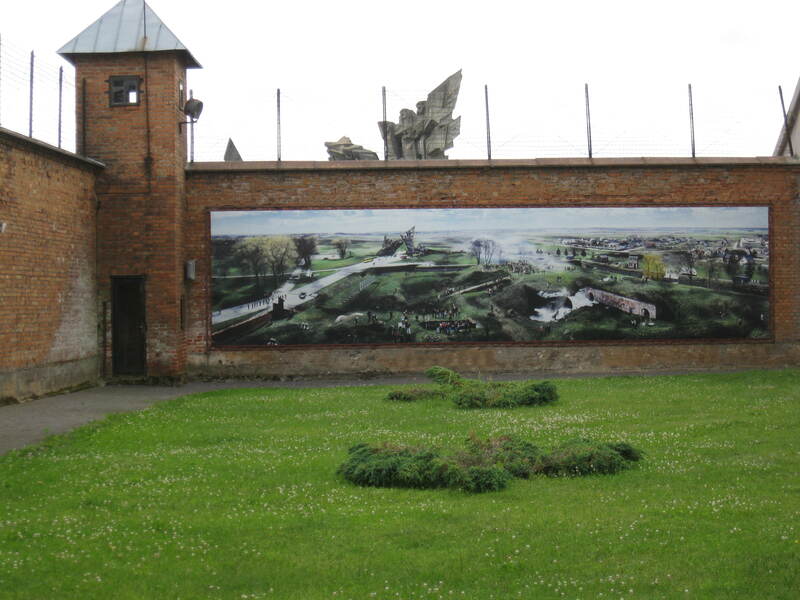 Jews were selected from the ghetto, brought to the Ninth Fort and murdered during the German occupation. 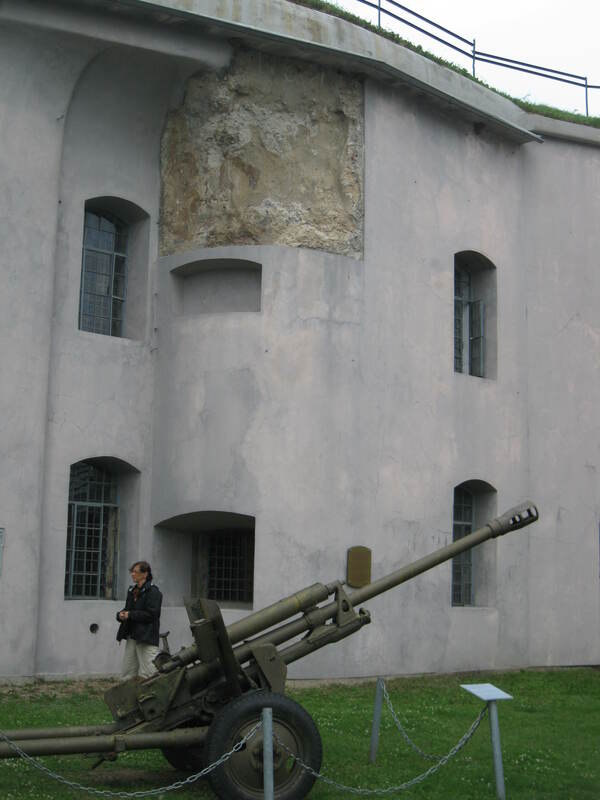 It was originally built as a fortress and soldier barracks. 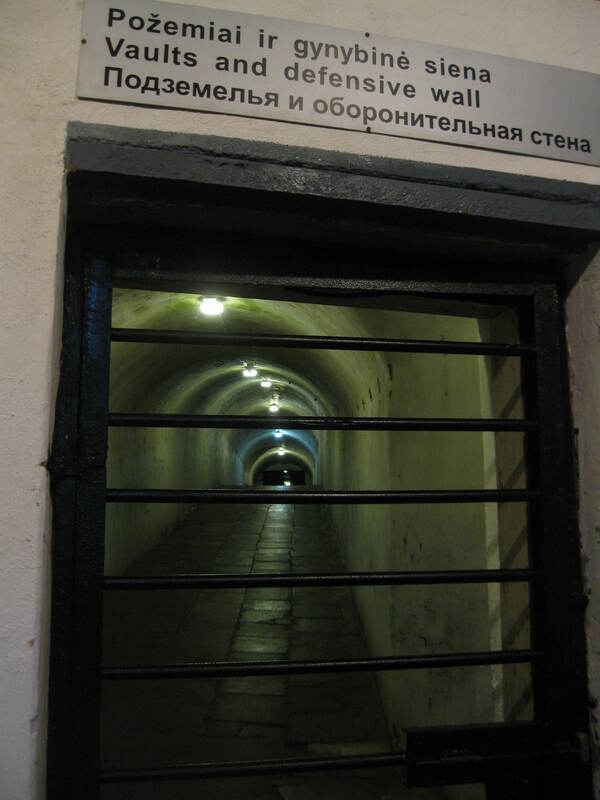 Tunnels are 1 km inside the walls and during WWI it was a political prison. 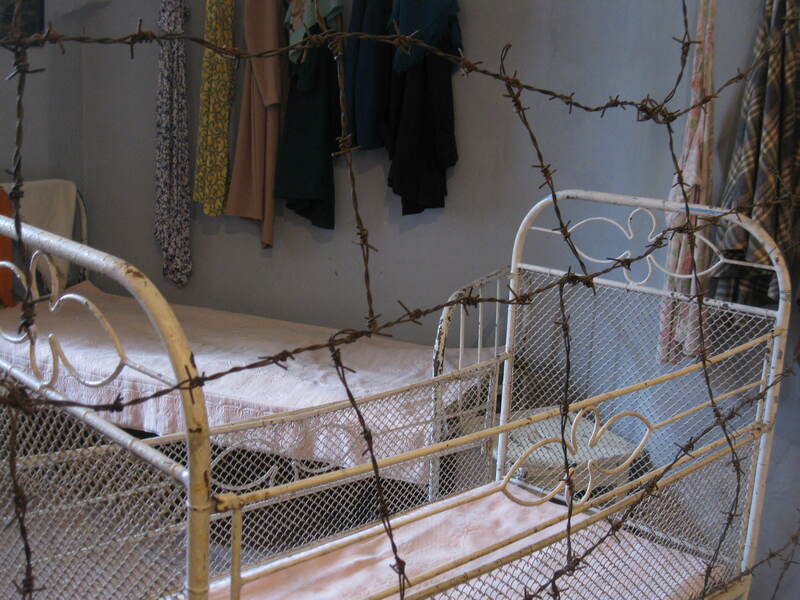 During WWII, a daring escape of 64 Jewish prisoners occurred on Christmas day while the German guards were all drunk. There was snow on the ground and one prisoner held up a sheet to hide the escape of the others. 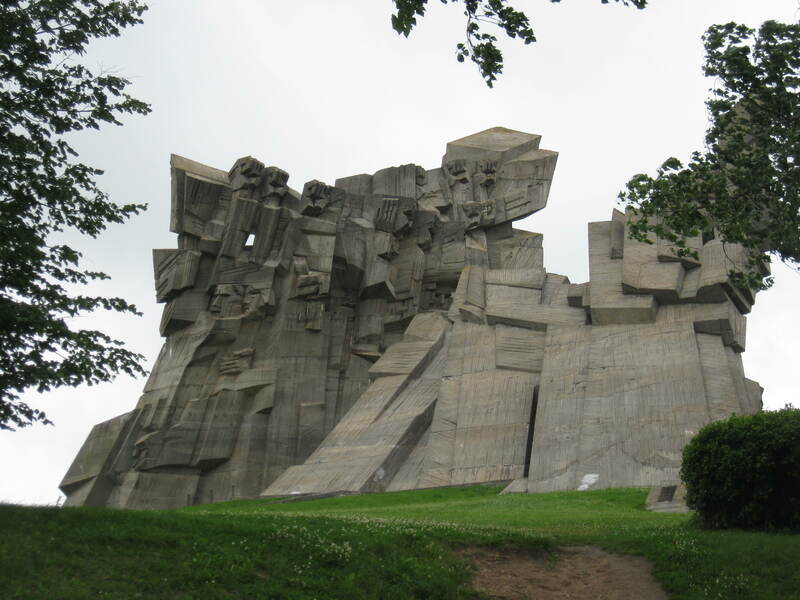 On a nearby hill, a massive Soviet-era monument to the mass killings [as usual] does not mention that the victims were primarily Jewish. 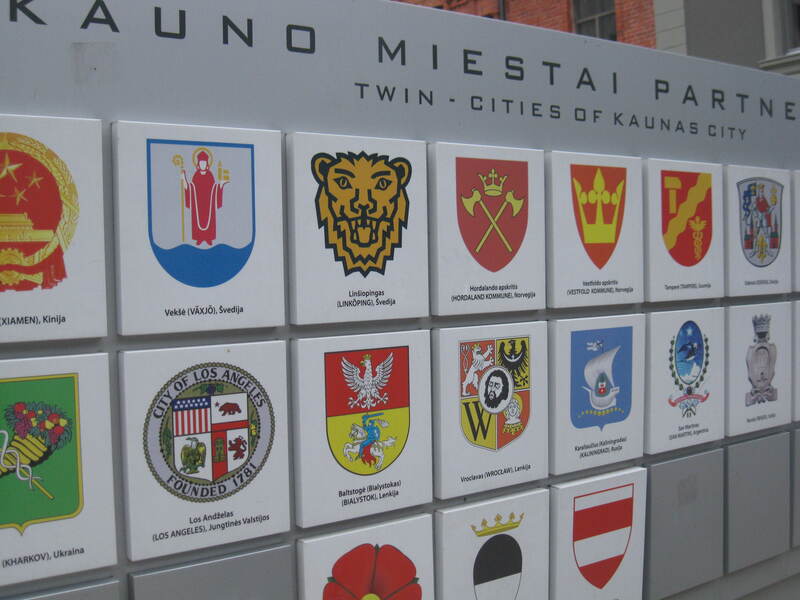 Back in the town, Chaim takes me to see the Kaunas “Sister City” display in a pedestrian area, showing the city seals of about a dozen sister cities around the world, including Los Angeles. 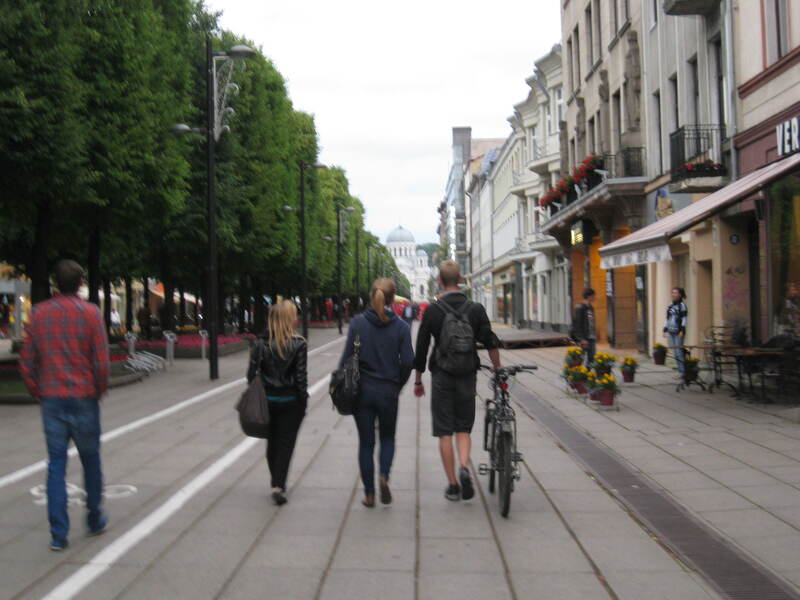 It stays light outside until well past 10pm and many young people are out strolling – and drinking. 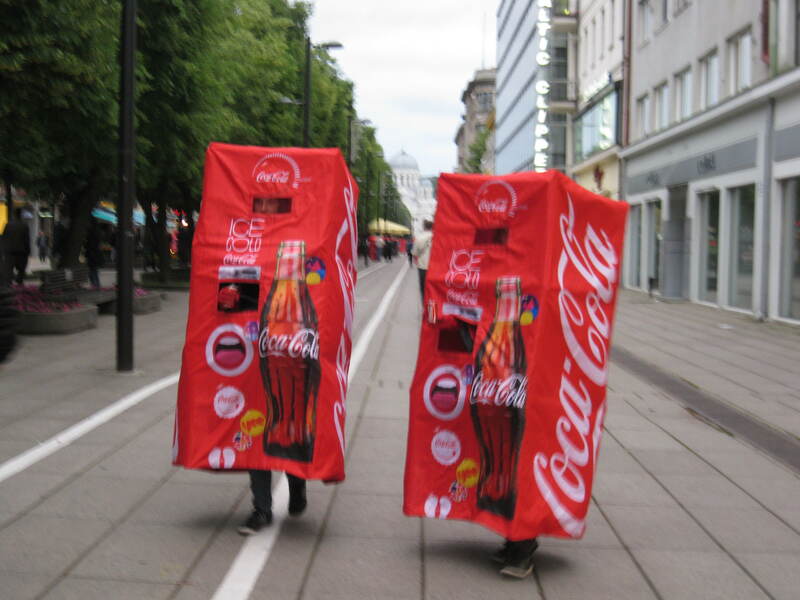 In a unique bit of marketing, a dozen walking Coca Cola machines roam about giving out free cans of Coke. 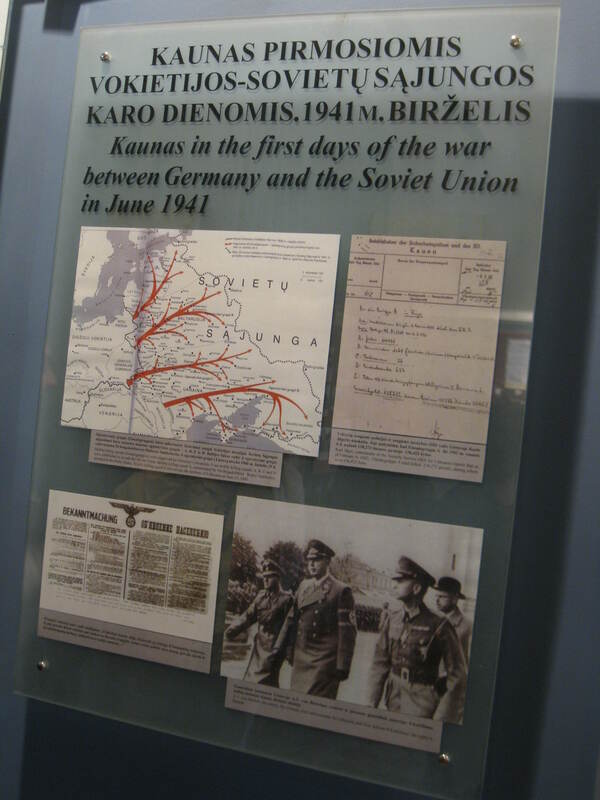 This entry was posted in Uncategorized and tagged Kaunas, Kaunas archives, latkes, Los Angeles sister city, Ninth Fort, Slobodka ghetto. Bookmark the permalink.